In Cape Town, we'll be staying for 6 nights at the Commodore Hotel. This 5 star property is situated in the heart of the Victoria and Alfred Waterfront, Cape Town's center of activity, with a variety of stores, entertainment, restaurants and bars. 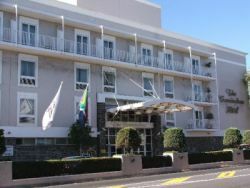 The hotel offers superb service and excellent cuisine and most rooms have wonderful views of Table Mountain, Table Bay or Signal Hill. The hotel's Clipper Restaurant offers superb dining in a tranquil setting. You can explore the Commodore House Wine Collection or relax to the nostalgic melodies played by the piano man over a light meal or high tea at the Admiralty Bar & Lounge. The Commodore offers 236 elegantly furnished rooms. All rooms have individual air conditioning, tea and coffee making facilities, bathroom with separate bath and shower, direct dialing phones, Wi-Fi and free Internet service, hair dryers, DSTV and 24-hour room service. While on the safari, we will be staying for 3 nights at Kapama Private Game Reserve, Southern Camp in Limpopo Province. 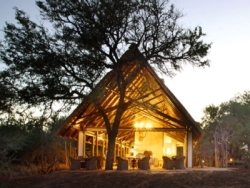 The Southern Camp is only 15 minutes' drive from Hoedspruit airport and sits on the vast savannah land, abundant with wild, African animals. The property offers upscale safari accommodations and friendly service in a tranquil setting, with excellent Big Five viewing opportunities. The property features a decked pool, a lounge decorated with African art, a fully stocked wine cellar, and a bar. Breakfast and lunch are served in a traditional restaurant with no walls, so that the surrounding nature becomes a part of the dining experience. Dinners are served in a Boma setting, surrounding the open bonfire, with nature as the backdrop and a starlit sky overhead creating the perfect setting. The Kapama Southern Camp luxurious suite accommodations are designed with modern amenities for peaceful relaxation and comfort. They feature private bathrooms with modern amenities, individual air-conditioning, large panoramic windows and private patios.